Priyanka Chopra’s production Firebrand will premiere on Netflix this month, marking Netflix’s first licensed original film in Marathi. 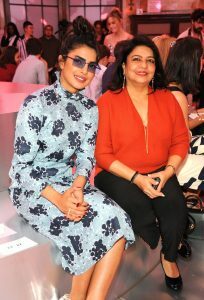 The female-led drama is also Priyanka and her mother Madhu Chopra’s first digital venture with their production house Purple Pebble Pictures. 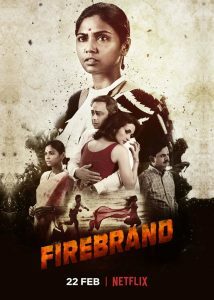 Firebrand follows the life of a successful and ambitious lawyer – played by Usha Jadhav – who is a sexual assault survivor dealing with PTSD. She tackles difficult family cases while also coping with intimacy issues in her own marriage. The film revolves around trials and tribulations of contemporary modern day relationships. Priyanka and Madhu praised Netflix for promoting diversity and accepting all genres on their global platform. “The age of digital has changed the way we consume content,” the Quantico actress said. “Today, the story is king and audiences are open to and accepting of all kinds of genres. Priyanka – who recently returned from her honeymoon with husband Nick Jonas – has also confirmed that she will star in and produce a film adaptation of Netflix’s hit documentary series Wild Wild Country. The 36-year-old star will play Ma Anand Sheela, the right-hand-woman to the Rajneesh cult’s leader Bhagwan Rajneesh. Firebrand will premiere on Netflix on February 22. The collection was co-designed by Virginie Viard and the late Karl Lagerfeld. Introducing the new movies everyone will be talking about.